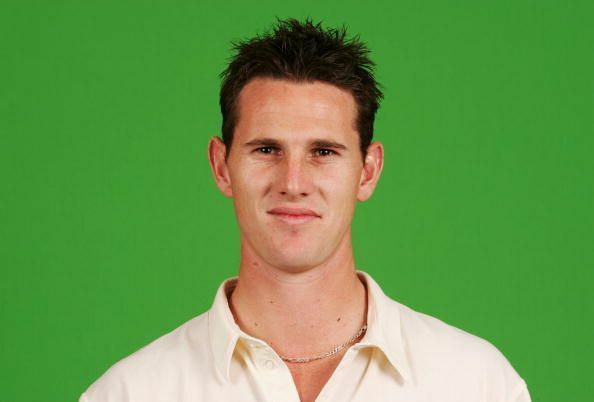 Shaun Tait is a former Australian fast bowler who has represented the country in all three formats of the game. He retired from all forms of cricket in 2017. He is a Right arm fast bowler who has the ability to bowl at searing pace consistently. His slingy bowling action is reminiscent of Jeff Thomson’s. He hails from South Australia and has played a lot of First Class cricket for the South Australian Redbacks. Shaun made his First-class debut when he was 19 for South Australia against West Australia in 2002 at Adelaide Oval.Tait was South Australia’s leading wicket-taker which led to his spot in the permanent team. His talent of taking wickets at an astoundingly low strike rate was apparent ideal from the begin and soon enough, he was rewarded with a spot in the Australian Team. He made his Test debut against England at Trent Bridge on Aug 25, 2005. He made a decent performance as Tait bowled 24 overs and took 3/97 in his first innings. He made his ODI debut against England at Sydney Cricket Ground on Feb 02, 2007. He had figures of 2/68 off 10 overs on debut and his first One Day International. Tait made his T20 debut against New Zealand at W.A.C.A. Ground on Dec 11, 2007. He played a major role in Australia's successful World Cup campaign in 2007. He ended up second on the list of wicket-takers grabbing 23 at a strike rate of 20.30. He put in a Man of the Match performance against old foes England in a Super 8s match at Antigua in which he picked up 3/41 off 10 overs. In addition, he picked 4/39 off 10 overs, his best One Day International figures at the time, against a solid South African team in the semi-final at St Lucia. On 29 January 2008, Tait reported that he would enjoy an uncertain reprieve from cricket, referring to being physically and sincerely exhausted. Shaun Tait gave up first-class cricket in 2009. Tait declared his retirement from all types of cricket in March 2017 because of ceaseless elbow damage.